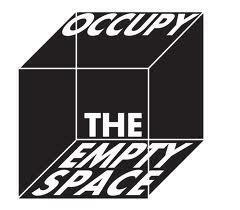 OCCUPY THE EMPTY SPACE is a free theater festival themed on human rights, Saturday September 8, 2012, from 2-5:30 PM in El Jardin del Paraiso, an outdoor garden in the East Village! The upcoming festival produces brand-spankin-new 10-minute plays on immigration, selected from 300+ playwright submissions and performed by NYC-based actor/director teams. OCCUPY THE EMPTY SPACE works with established and emerging writers, producing the likes of Naomi Wallace, Adam Rapp, Caridad Svich, and providing writers with NYC-debuts. In addition, OCCUPY THE EMPTY SPACE is a celebration of the NYC-theater community, with actors, directors, theaters and companies devoting their resources and talents. We urge you to join us for free theater and outreach to NYC theater and immigrant communities on Saturday September 8! Good people. Good theater.